White River beat Colome girls 57-26 in the fifth place game of the Southern Plains Conference tournament Saturday in Gregory. 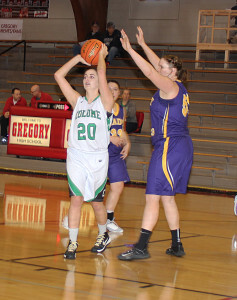 Colome was led by Abby Kortan with eight points and Callie Heath scored seven points. The Cowgirls made 8 of 13 field goals. On Friday, Colome defeated Gregory 46-32. Callie Heath had 14 points and 7 rebounds. Kortan added 13 points. The Cowgirls went 19 of 55 from the field. Bob was born May 15, 1936 to Ralph and Neva (Eaton) Ryno at their home on the northwest corner of Wood. 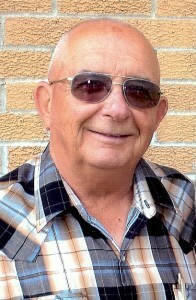 Bob attended Cody Township School and graduated Wood High School in 1954. Shortly, thereafter, he joined the Army; completing basic training at Fort Bliss in El Paso, TX, Fort Carson, CO for infantry training then sent to Korea. He returned from the Army in 1956. Upon his return, he was a delivery truck driver for Kaplan Tires of Winner, SD. He returned to the home place, north of Wood, to help his father on the ranch. Shortly thereafter, he was united in marriage to Frances “Babe” Belak on June 25, 1960. In 1966 he purchased his first two thoroughbred mares from Gene Strain. He and Babe purchased the old Leat place, south of Wood, and also the Standard Oil bulk business from Rex Sinclair, in 1969. They spent the rest of their lives building a beautiful home place, raising their two kids, Karla, born in 1962 and Marty, born in 1963. Bob put off his horse racing career until Karla and Marty were thru high school. 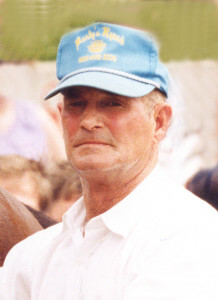 He sold the bulk business to Scott Dimond in 1997, his brother, Larry, watched the cattle herd, and he devoted the rest of his life to his true passion, racing horses. Bob’s most notable accomplishments, during his racing career, included two horses in the Hall of Fame at Canterbury Downs in Shakopee, MN. Little Bro Lantis was born, raised, and trained on the home place. KZ Bay was Kentucky bred and purchased as a yearling. Bob brought her to South Dakota where he trained her and raced her at Canterbury Downs, River Downs, Churchill Downs, Remington Park, Woodbine and Franklin Downs. The ultimate racing accomplishment was winning the Lady Canterbury feature race at Canterbury Downs on 6-22-1997. This race was a one mile turf race; KZ Bay went off the board at 32 to 1 and won the race, going wire to wire. K Z Bay was the first local mare to win the race against shippers brought in from all over the country. The grandstand erupted with cheers as she came charging down the home stretch and hit the wire, two lengths in front. Bob’s love of horse racing was only surpassed by his love of family, friends and particularly his granddaughters, Robin and Teneil. He could be found pulling the girls on sleds across the pasture, rigging a swing on the horse walker so they could swing while he walked the horses, and just spending time with his good ‘ol kidders. On Jan. 17, one week shy of his 104th birthday, Weldon Peter “Pete” Olson passed away at his home surrounded by several members of his family. 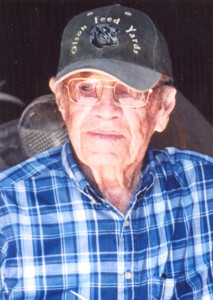 Pete was born Jan. 24th, 1913, on the family farm in Knox County Nebraska to Peter and Alma Olson. He was the oldest of five children. Pete was a smart child and his teachers recommended he skip the 6th grade. He was later elected president of his class and graduated from Wausau, High School. He moved to Tripp County to farm with his Uncle Frank Lundgren. He married Ruth Mack on April 5, 1941 in Ainsworth, Neb. and they enjoyed life together for 72 years. Pete and Ruth enjoyed dancing to waltzes and polkas. They decided on raising a large family. They had 13 children and were blessed with lots of grandchildren and great grandchildren who loved to spend time on the family farm. Pete enjoyed playing games such as Trivial Pursuit and cards with the family. All of his life, Pete was an avid reader enjoying books on tape when his eyesight was too weak. And, of course, he loved to rock the newest grandbaby. Pete and Ruth moved to the farm in Ideal in 1947. Pete became very active in the community serving on the school board, various boards at the Ideal Presbyterian Church, the Ideal Township board and the Ideal Tigers Country basketball team board. As a member of the school board, Pete helped to start the hot lunch program at the Ideal school. He also loaded his car many times to transport students to Rosebud, SD, for dental and medical care. Pete and Ruth enjoyed living and raising their children in such a supportive community. Pete was able to go Christmas Eve Service at the Ideal Presbyterian Church in 2016 for his last venture from home. Roy Melvyn Lilly was born on March 4, 1944 at Gregory Hospital to Oliver and Ruth (Kenaston) Lilly. Roy attended grade school through 8th grade at Kansas Flats and graduated from Colome High school in 1962 and went to work on the farm with his dad. 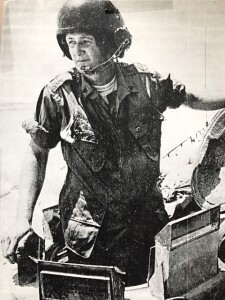 He joined the National Guard in October 1962 and served with the 730 Medical Clearing Company until 1968. Roy was united in marriage to Carol Ring on October 10, 1970 in Colome, to this union three daughters were born, Linda Jane, Brenda Jean and Rhonda Joy. In July of 1992 Roy decided to try something other than farming/ranching and went to work at the Colome School. He worked for the School for 20 years and always enjoyed the kids. Roy always said that the best kids always come through the doors of the Colome School. After he retired, he still drove the school bus, he just found so much joy in seeing the kids and enjoying the scenery. Roy was an active member of the Calvary Chapel Church as he served several years as a Church Board member, Sunday School Superintendent and Sunday School Teacher. Roy was a kind hearted Christian, that always put others before himself and saw the good in everyone. He had a wish for everyone to know and walk with the Lord. Roy had 2 passions, the love for the Lord and the love for his family. He enjoyed playing cards at night with Carol and at family gatherings, he also enjoyed his summers by having a large garden and taking time to enjoy baseball games in Minnesota and Kansas City with his daughters and grandkids. Roy passed away January 17, 2017 at the age of 72 at the Winner Regional Hospital. Kenneth Leroy Watson was born July 15, 1946 in Pittsburgh, Pennsylvania and passed away on Saturday, January 14, 2017, at age 70 in the Winner Regional Healthcare Center. Ken graduated from high school in Ulysses, Kansas in 1963 and joined the Navy the following fall. He served in the Navy and Navy Reserves for a total of 14 years, including two tours in Vietnam. Ken cherished his time served in the military and was proud to say he served this great country. On May 31, 1975, Ken married Lori Stritecky at the Colome United Methodist Church. They moved to Sioux Falls where he worked various jobs until he graduated from Southeast Area Technical Institute with a degree in Electronics. They had two sons, Kevin and Ryan. In 1979, they moved to Crooks, SD where Ken was active in the community with the Crooks VFW, Tri-Valley Booster Club, Crooks Optimist Club, served on the church board of Benton Lutheran Church, and various baseball programs in Crooks. While in Crooks for 22 years, Ken and his family created lifelong friends not only in Crooks but the surrounding communities which he cherished until his death. He always cherished teaching and coaching not only his own two boys, but numerous kids of the community and showing them life lessons through sports. He was active in the Tri-Valley School district where his sons attended school and graduated from. If there was one thing Ken loved was attending the various activities with friends and supporting his beloved “MUSTANGS”. Ken was a current member of the Winner United Methodist Church and Gregory American Legion. After their sons graduated from high school, Ken and Lori moved to Gregory, SD in 1998 for 5 years. He then followed his wife with her Traveling Nurse Career. They bought a home in Peoria, AZ in 2007 where he worked as a cashier at AJ’s Fine Foods and Bashas’ Grocery Chain until his retirement in 2013. He was a season ticket holder for the Arizona Cardinals for seven years and enjoyed going to various Arizona Diamondback games and spending time with his family in the Phoenix area. Ken always had a passionate side for animals especially his fur babies Gizmo and Bella. Due to health issues they recently moved back to Colome, SD in July 2016 to be closer to family and friends. With his love for sports, Ken touched many lives teaching and mentoring kids in the various baseball and basketball programs in the Crooks and Sioux Falls area, but most of all was looking forward to watching his grandchildren grow up. In addition to family time, he also enjoyed his boating, coin collecting, camping, pheasant hunting, cheering on the Denver Broncos and bowling. Ken always wanted was best for the kids of the community and always strived to get the best out of the kids he taught and coached. Varney Daryl “Butch” Bancroft, age 75 of Vermillion, SD passed away Thursday January 19, 2017 in McCook, NE. 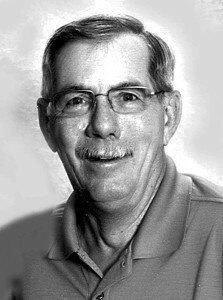 Butch was born on May 3, 1941 in Redfield, SD to Leonard and Genevieve (Bennett) Bancroft. He grew up in Burke, SD and graduated from Burke High School with the class of 1960. He married Karolee Gatson on June 10, 1962. He served in the US Marine Corp from 1965 until 1968, serving in Vietnam. After his discharge, he worked for Northwestern Bell Telephone Company (which later became AT & T) for over 40 years. After leaving AT & T, he opened T.D.C. where he worked on phone systems in South Dakota. He enjoyed hunting and was very artistic with his drawings and making wooden houses. He loved his family, especially his children and grandchildren. He was much loved by his family and will be greatly missed. 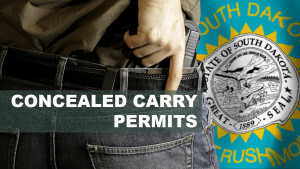 Secretary of State Shantel Krebs announced a new concealed carry weapon permit program and permit design. Secretary Krebs said, “This permit is more official looking with a reflective hologram very similar to a driver’s license without the photo id. Because of the substantial increase in concealed carry weapon permits issued in recent years we needed to change the way the permits were produced to increase efficiency and decrease costs while also improving the quality and style of the cards. When I studied the work flow process time to produce the old cards I realized there was room to cut costs on labor. 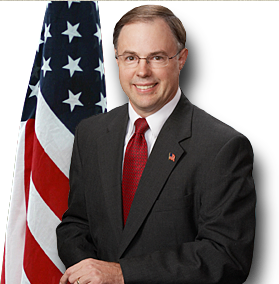 We have cut the cost of each permit from $4.75 to $1.48,” stated Secretary Krebs. Much of the cost was due to the amount of staff time to assemble the old permit by hand. Permits issued have nearly tripled in the past 10 years. In 2016 Secretary Krebs issued an all-time high for new and renewed permits of 30,029. In 2006 the Secretary of State’s office issued 11,763. There are over 96,000 active permit holders that currently have the previous style laminated card that has been accused of resembling a library card. If they just want the new looking permit, address changed, name change (because of marriage) the request comes to the SD SOS office by writing a letter to request a replacement with the new permit to the Secretary of State’s office with name, date of birth, address, signature, permit number and a check for $2 made out to the Secretary of State’s office. South Dakota Public Utilities Commissioner Chris Nelson has been selected to serve on the National Association of Regulatory Utility Commissioners’ Board of Directors, a group tasked with overseeing NARUC’s efforts to improve the quality and effectiveness of public utility regulation. This is Nelson’s second appointment to the association’s supervisory board. He earned his first seat in January 2014 when he was selected to serve as chair of NARUC’s Committee on Telecommunications. Appointed to a new seat by NARUC President Robert Powelson of the Pennsylvania Public Utility Commission on Jan. 12, 2017, Nelson will serve on the board through October 2018. Along with other board members, he will focus on strengthening state commissions by engaging in public policy discussions, recommending resolutions to the NARUC membership and advocating among federal agencies. “I’m grateful to serve on my national association’s board of directors. This leadership position allows me to guide the direction of our organization in a manner that serves the needs of South Dakotans,” said Nelson. Nelson has been a member of NARUC since 2011. He was part of NARUC’s Task Force on Federalism and Telecommunications and has been appointed by the Federal Communications Commission to the Federal-State Joint Board on Universal Service, representing the interests of NARUC. Gov. 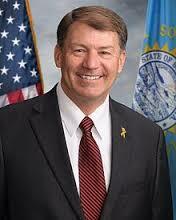 Dennis Daugaard appointed Nelson to the PUC in January 2011 to fill a vacancy. 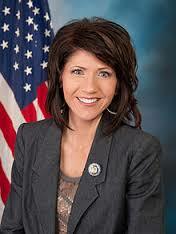 Nelson was elected in November 2012 to continue serving the remaining four years of the term. He was re-elected to the PUC in November 2016 to a full, six-year term. Prior to joining the commission, Nelson served eight years as South Dakota’s Secretary of State. Every four years after a presidential election, Americans from all corners of the country flock to Washington, D.C., to attend the incoming president’s inauguration ceremony. At noon on January 20, 2017, President-elect Donald Trump becomes President Donald Trump, after he is administered the oath of office by Supreme Court Chief Justice John Roberts. The oath of office of the President of the United States is only 35 words long, and is stated in the United States Constitution: “I do solemnly swear that I will faithfully execute the Office of President of the United States, and will to the best of my ability, preserve, protect and defend the Constitution of the United States.” The first president to take the presidential oath was George Washington at his inauguration on April 30, 1789, at Federal Hall in New York City, the temporary seat of government at that time. President Washington also set the precedent of delivering an inaugural address following his swearing-in ceremony, a tradition that has led to some of the most renowned quotes from our presidents. Washington swore to preserve “the sacred fire of liberty” and uphold the “Republican model of Government.” Other famous lines from inaugural addresses include John F. Kennedy’s “ask not what your country can do for you, ask what you can do for your country,” and Ronald Reagan’s “In this present crisis, government is not the solution to our problem; government is the problem.” These remarks continue to inspire Americans today. The entire ceremony takes place on the West Front Lawn of the U.S. Capitol, as it has since 1981. Attendees fill the National Mall from the Capitol steps to the Washington Monument, all to catch a glimpse of living history. Following the swearing-in and inaugural address, an inaugural parade and numerous balls take place throughout Washington, D.C. While January 20th is the official day the president takes office, months of preparation have gone into the planning of the inauguration ceremony and official events, such as the parade and the formal balls. Since 1901, the Joint Congressional Committee on Inaugural Ceremonies has been in charge of setting up the swearing-in ceremonies. Thousands of men and women have been working behind the scenes to plan the ceremony and make sure the Capitol remains secure. I’d like to thank them for their hard work, as well as all the members of the law enforcement community who have been putting in long hours leading up to inauguration weekend. Their job protecting the attendees at the inauguration is incredibly difficult, and their dedication to the security of the attendees is deserving of praise. Without their commitment, this very special day for our nation could not run as effortlessly and with the dignity it deserves. In his inaugural speech, Thomas Jefferson said, “But every difference of opinion is not a difference of principle…We are all republicans. We are all federalists.” His wise words ring true today. Though we may disagree with one another on certain policies, we are all Americans, and our presidential inaugurations reflect a decidedly American ideal: the peaceful transition of power from one administration to the next. I’ve heard stories like this many times over, even from within South Dakota: A young woman falls behind on rent or faces other financial straits. Someone steps in to help, but the apparent act of kindness comes with certain strings attached. It might begin as a requirement to just “hang out.” Perhaps they begin to date. But then, the threats come – both physical and emotional. A financial reliance has been established – perhaps a drug or alcohol addiction as well – so it’s difficult to find a way out. Within months, maybe even weeks, a supposed friend becomes the victim’s trafficker. The manipulative control persists, often resulting in multiple run-ins with the law. Many victims are arrested, brought up on charges of conspiracy, money laundering, prostitution or drug trafficking. Even if they’re able to escape the horrors of trafficking, these criminal records can chain them to their past and leave them vulnerable to being exploited or trafficked again. According to a recent survey by the National Survivor Network, around 80 percent of trafficking survivors surveyed had lost or not received employment because of their criminal convictions. Around half had suffered from barriers to accessing housing. Trafficking survivors deserve a fair shot at rebuilding their lives, but that’s difficult when housing, employment, and education are out of reach. With this in mind, I helped introduce the bipartisan Trafficking Survivors Relief Act earlier this year. This legislation would create a process in which trafficking survivors with non-violent federal offenses could ask a judge to free them of their records, vacating arrests or convictions that were a direct result of being trafficked. I’m hopeful this legislation will help relieve survivors of the past, open doors for them, and offer a path forward where healing can begin. If enacted, this bill would build on our accomplishments from last Congress where we passed one of the most comprehensive anti-trafficking packages seen in a decade. The legislation allocated more resources for survivors, offered more tools to go after traffickers and buyers, and put policies in place to prevent trafficking. The mission to end human trafficking is one that each of us can participate in. I encourage you to familiarize yourself with the signs of human trafficking. Is someone you know not free to come or go as they wish? Are they fearful, anxious, tense or paranoid? Do they appear malnourished or show signs of abuse? Do they lack control over their own money or financial records? These are just some of the indicators a victim may exhibit. To learn more, I encourage you to visit humantraffickinghotline.org. Additionally, if you or someone you care about is being trafficked or at risk, please call the National Human Trafficking Hotline immediately at 1-888-373-7888. Correspondence with the National Hotline is confidential and you may request assistance or report a tip anonymously. Those who have been trafficked should be treated as survivors, not criminals. I’m hopeful our latest proposal can help clear the path for them to rebuild their lives.